Summer is in full swing with backyard barbecues, kids splashing in the pool, and friends and family are gathered around the yard chatting about last night’s little league game. Laughter fills the air until you turn towards the grill to find smoke billowing out the sides. Oh no, the burgers are flaming out, and you were too distracted to notice it happening. While this is all too familiar with backyard chefs, the same thing may be happening to the physician in your healthcare system. Recently, Stanford University School of Medicine anonymously surveyed almost 7,000 physicians, and the results were alarming. More than 55% of those doctors reported experiencing symptoms of burnout, and 33% reporting high levels of fatigue. It isn’t much trouble to replace the burgers that have burned out on the grill but losing physicians to burnout is much more serious and can cost millions! The biggest mistake hospital administrators can make is ignoring the problem and hoping that it takes care of itself. Organizations need to take an all-hands on deck approach to recognizing when burnout is impacting the medical staff, and most importantly what can be done to alleviate the problem before it becomes insurmountable. 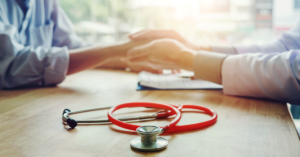 Jackson Physician Search published a study focusing on the state of physician alignment with their employers, called The Physician Engagement Gap. 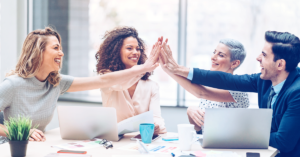 When physicians are engaged in the organization and are aligned with the company values and culture, they are happier and more productive. Unfortunately, the study shows that the levels of physician engagement have not changed positively over the past decade. Worse, hospital executive’s perception of physician engagement is higher than in reality. Treat physician burnout as the serious problem that it presents to your organization. Engage your physicians as part of the solution. Find out what issues or frustrations they have that are standing in the way of patient care. Much like lean manufacturing, continuous improvement through the fixing of broken patient care processes builds trust and relieves sources of frustration. Understand that your team’s satisfaction is being impacted by Electronic Health Records. Work towards solving EHR frustrations and your physicians will free up more time for patient care and new patients. Develop, Support and encourage participation in a Physician Wellness Program. Actively work to cultivate and improve relationships with your physician team. Lastly, the next time you are planning a backyard barbecue, think about starting similar gatherings for your team. Smaller gatherings are always effective ways to promote the social aspects of team building. In these smaller settings, you are exposed to people in a more relaxed setting and may learn more about who they are and what drives them to be healthcare professionals. You might be surprised by how much you don’t know about them, but glad you learned. Oh, and don’t forget to keep an eye on the burgers!